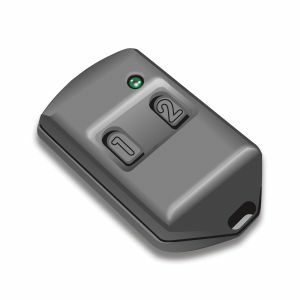 The keyfob-style remote control transmitters in the KTX24SS Series are a cost effective solution to wireless remote control system design and implementation. The transmitter’s ID code is preprogrammed at the factory to one of more than 4 billion possible codes, providing a very high degree of security. Spread spectrum technology enables this product to be used in high EMI applications, i.e. near electric motors with brushes, and these remotes will not interfere with wifi systems. 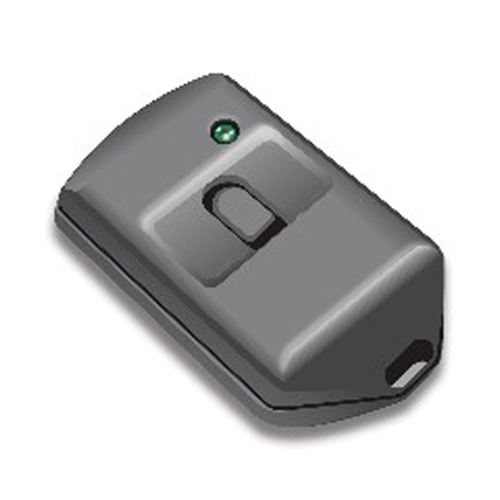 Power is supplied by a widely available 3-Volt coin cell battery (included). Available in 1, 2 or 3 buttons. Use with RCR24SS Series receivers. 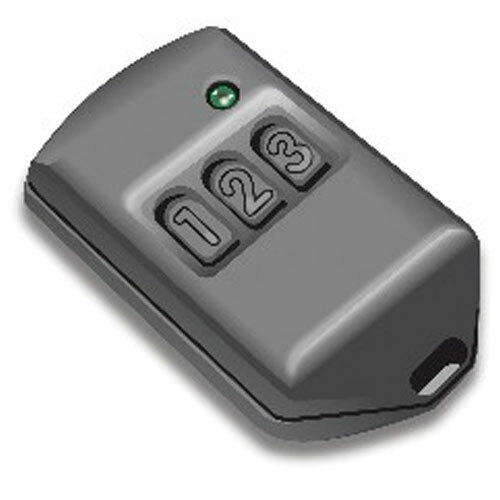 These receivers can learn up to 60 different transmitter ID codes.